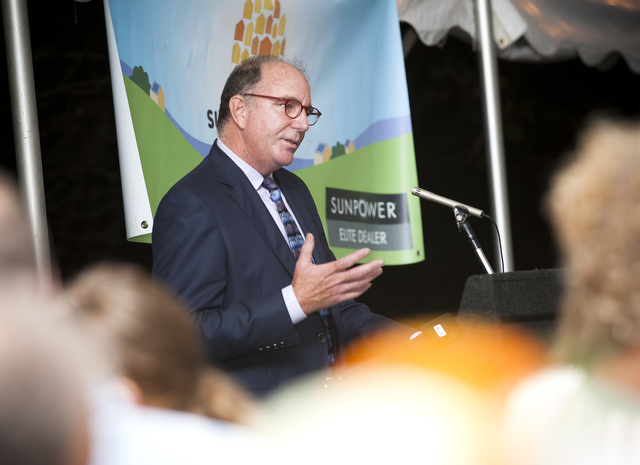 Duane Peterson, co-founder of SunCommon, is honored Wednesday evening with VBSR’s annual Terry Ehrich Award for Excellence in Socially Responsible Business. 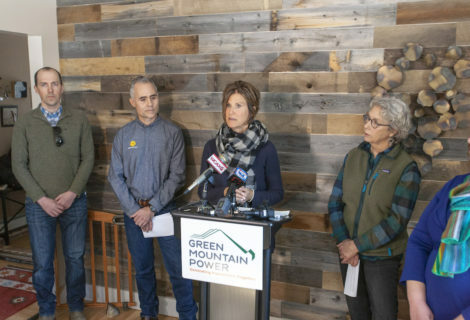 Named for the late owner of Hemmings Motor News and a founding member of VBSR, the award is given to a VBSR member who best exemplifies Terry Ehrich’s commitment to the environment, workplace, progressive public policy, and community. 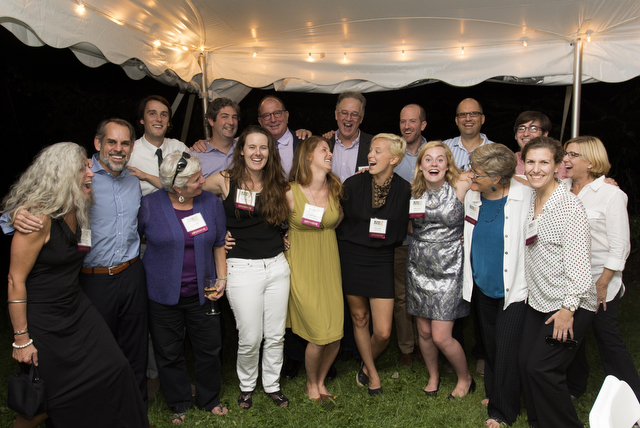 Gathered in the backyard of Ben Cohen’s home, 200 guests and Vermont Business for Social Responsibility members celebrated the group’s 25th anniversary and the remarkable achievements of Duane Peterson, co-founder of SunCommon. Peterson was honored with the Terry Ehrich Award for Excellence in Socially Responsible Business. 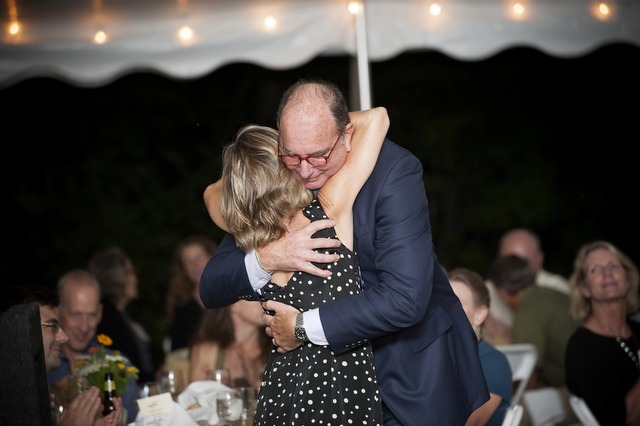 Named for the late owner of Hemmings Motor News and a founding member of VBSR, the award is given to a VBSR member who best exemplifies Terry Ehrich’s commitment to the environment, workplace, progressive public policy, and community. Duane celebrates with his SunCommon crew shortly after receiving the Terry Ehrich Award. A social entrepreneur, Peterson is on his seventh career with stints as a medic, police officer, non- profit manager, political campaigner, justice department official, legislative director and values-led business practitioner. The common thread: organizing people to take meaningful action towards positive change. He moved to Vermont in 1996 to help Ben use Ben & Jerry’s as a force for social change. 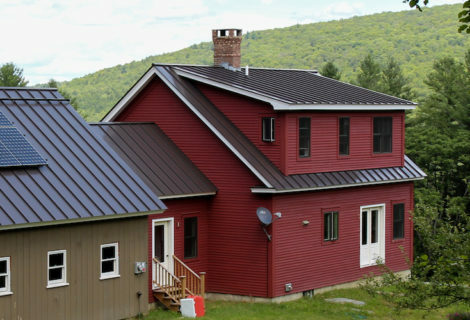 After 12 years there as Ben’s Chief of Stuff, Duane left to launch his latest venture, SunCommon, to make it easy and affordable for homeowners to help repower Vermont with clean, safe and local solar power. 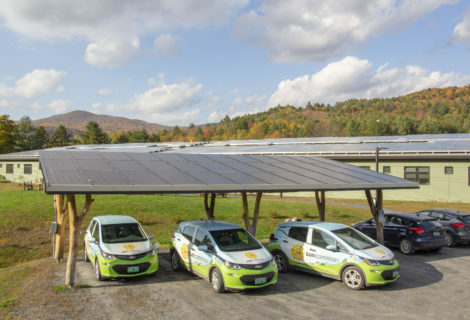 A Benefit Corporation and a Certified BCorp, SunCommon is Vermont’s largest solar business with 100 workers. Duane has been a part of the VBSR community since 1996 and his wife Laura has served as VBSR’s Program Manager. 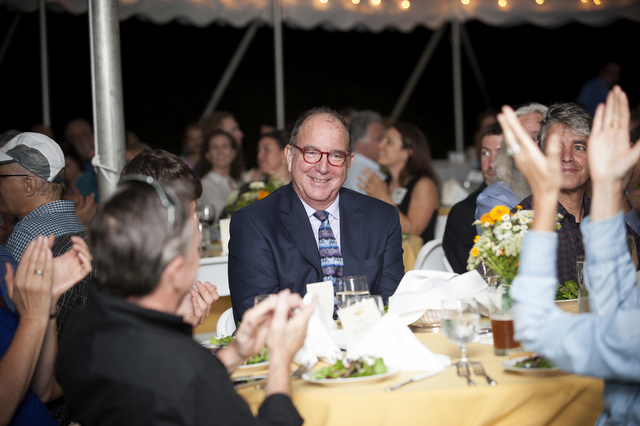 He’s a member of the Social Venture Network and serves on the Board of VPIRG as well as VBSR. To see the rest of the photos from Duane Peterson awarded VBSR Terry Ehrich Award, click here!